Some like it hot, and then there’s me. I like it hotter! Of course, I am talking about my food and not the weather. For me, I tend to prefer ice cream when it is colder out. I just don’t find all the sugar and cream refreshing. In fact, it just makes me even more thirsty. 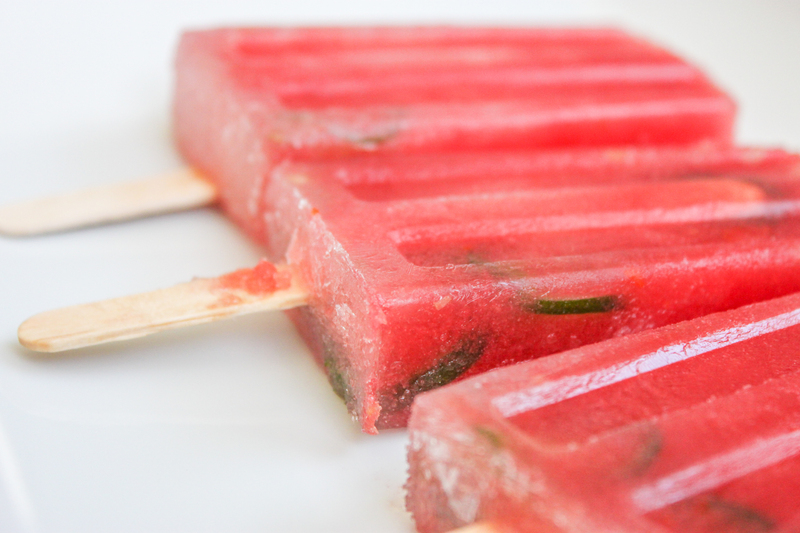 So I wanted to create a popsicle that was both cooling and refreshing. And here it is! 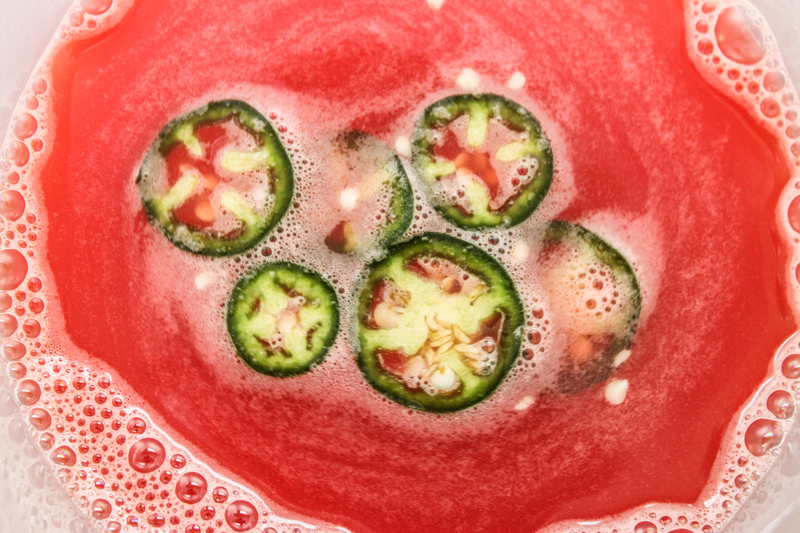 This pop, with both tomato and jalapeño, is not overly sweet but it is still dessert–trust me. The watermelon makes sure of that. And the heat from the peppers keep it bright and tasty. 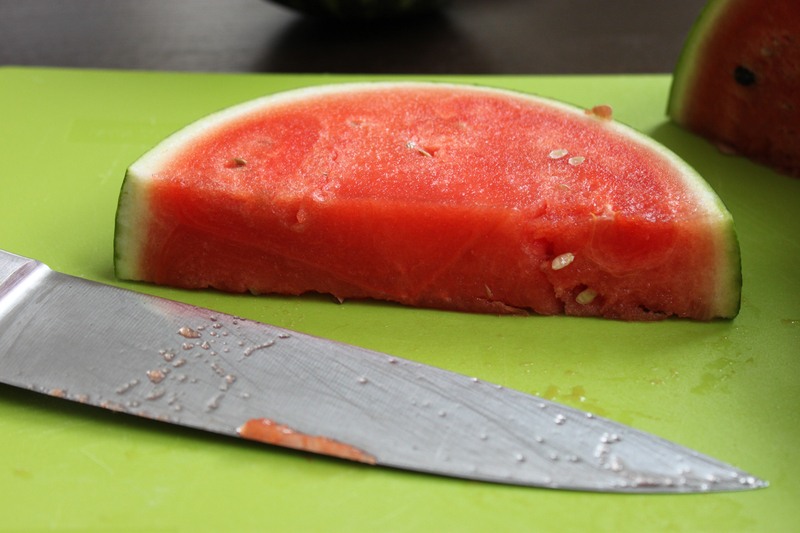 Half the watermelon and then cut it into 1-inch slices. 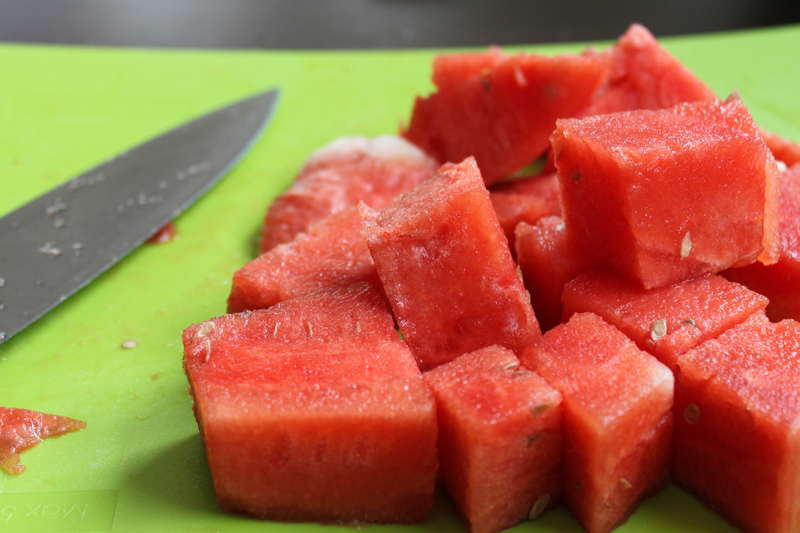 Remove the rind and further cut the watermelon into 1-inch cubes. Peel the tomatoes (see the video above for how). 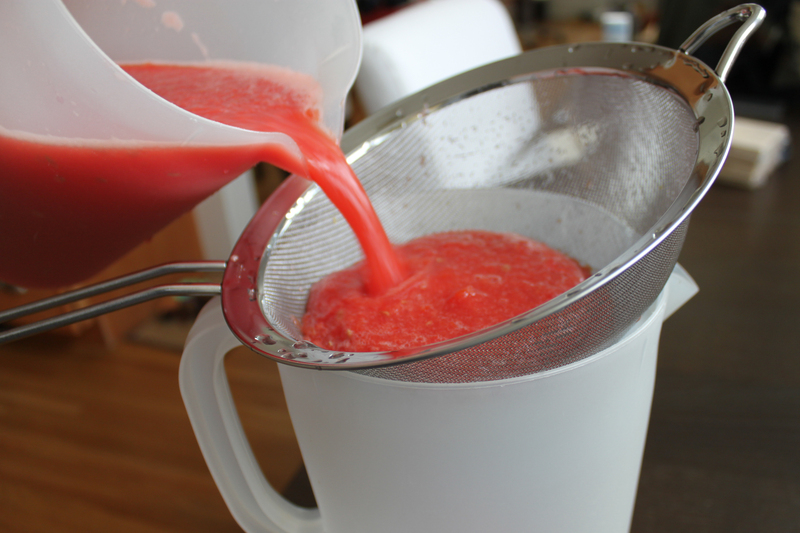 Puree the watermelon and tomatoes. It is best if you do this in small batches. Pour the pureed mixture through a strainer to remove the larger chunks. 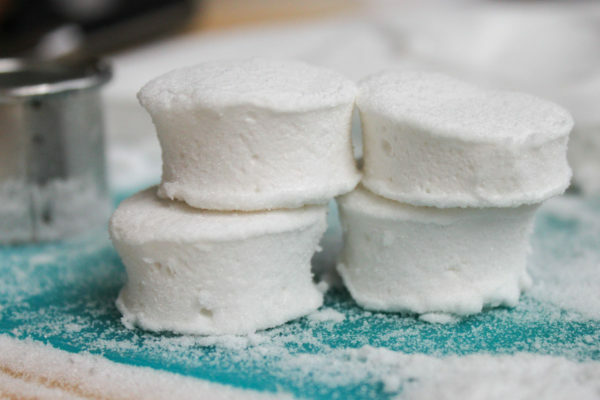 You can add some of this back later if you want to add some texture to your pops. 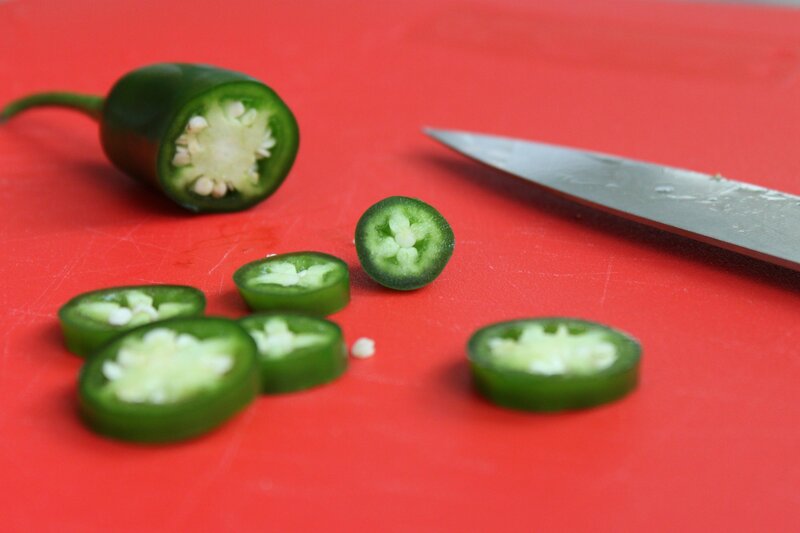 Thinly slice the jalapeño peppers. 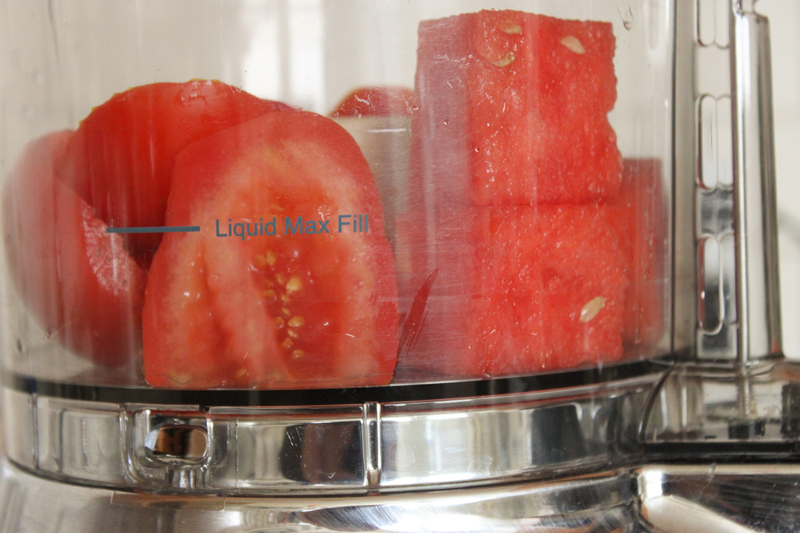 Add the peppers to the watermelon-tomato puree and let sit in the refrigerator for about an hour. 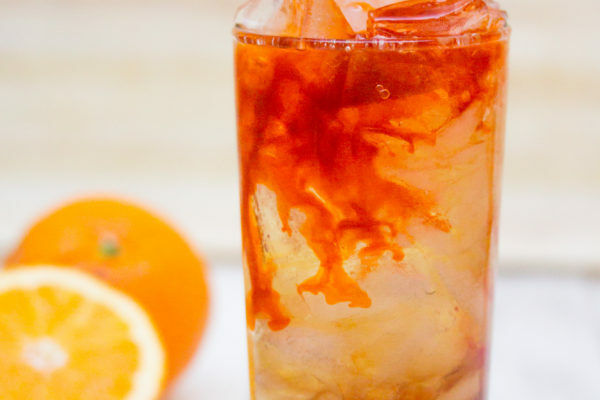 This will infuse the fruit juice with some heat. If you want more heat, instead of slicing the peppers, mince them and then strain them out later. 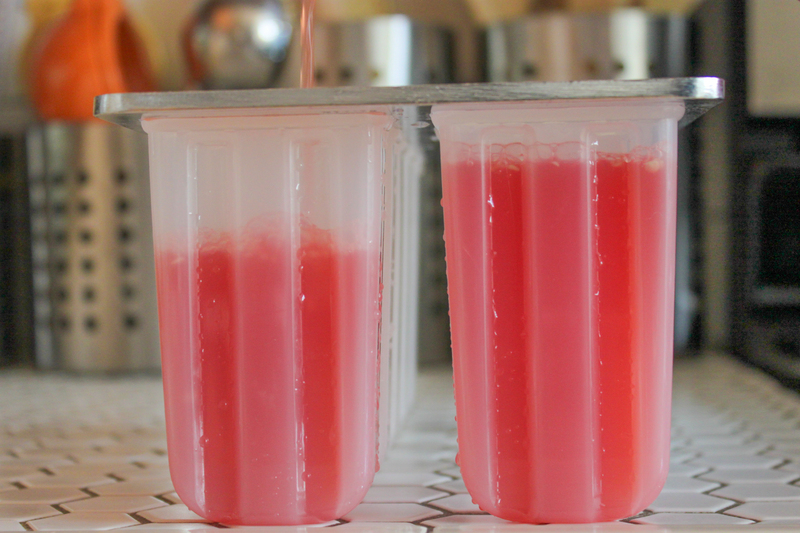 Divide the juice amongst the popsicle molds and place them in the freezer to set.